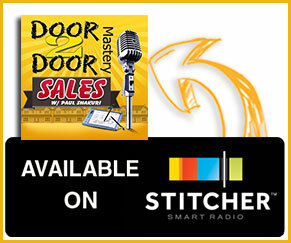 What’s shaken door to door mastery fans?! 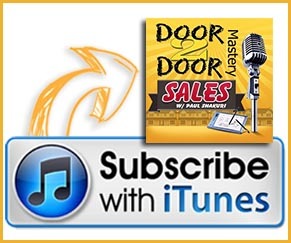 This is Paul Shakuri and in this piece, we are going to have John weigh in on the reasons why door to door sales is awesome! John reached out a couple of days ago and had a couple of questions about my coaching and mentoring and what it actually entails. Now, John used to be in a sales environment and now works for Cox Communications. The previous work in sales was in a retail environment and John had worked there for approximately ten years. He started at circuit city before the company laid him off and went under. He then went over to Best Buy and began doing sales there. He later switched to selling home security. A product that I mastered in and sold to thousands of people. Now, John I am sure you are agreeing with me, in order for anyone to become a good sales person, they have to learn the process of how to sell. There are many people out there that have the mentality geared towards only making money and as a result, say whatever the freak they want to say. That is not a true salesperson! At the end of the day, you want to show the customer what the products or services will do for them just as John has done. 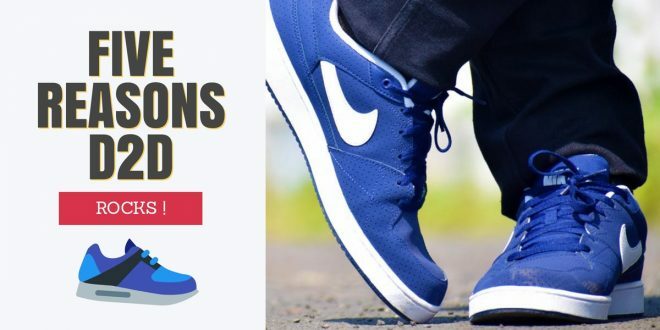 The barrier between the salespeople and customer is that sales rep think that customers are going to initially want to dig into what your product is, while the customer is waiting to find out from you why your service and product is so important. I asked John from the scale of one to ten how passionate he is about sales and his response was that he is a nine but feels like a ten. Reason being is because he is a sociable person and can get along with anyone. He continues by sharing how he created a sense of urgency for the customers letting them know about the benefits of home security. John instantly weeded out the competitors by offering same promotion to the service and product. John just wants to treat his customers like they are his actual neighbors. I am going to tell you right now this mentality will lead you to success! John also is not afraid to reach out for help. He is using all the resources offered to improve and progress in selling door to door. He also has questions about the resources, one of which is from my free mastery program. The question about curiosity. 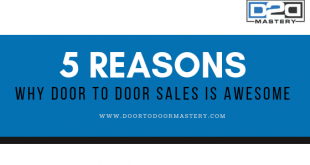 When you first knock on the door your main focus is to not sound like a typical salesperson. The curiosity I spoke of is when they come to the door. Maintaining that curiosity throughout your communication with the customer. I don’t bring up my name or my company at the beginning to maintain that curiosity. Build that confidence and self-esteem by coming prepared! Now, I am going to mention something that is so vital door knocking takes repetition. You have to build momentum and mirror what works for you over and over again. This repetition will make you feel more comfortable inside your mind, inside your skin. You have to tailor the pitch to you so you can grow. You knock on the door standing far and never be the first one to talk. This shows signs of desperation! If the customer says nothing, then keep looking at the property. Be in control of the situation. Don’t say your name or your company right away! Look around wait till they speak and be assertive to start. Do not be the typical salesperson! “I got three packages left.” This can be used at a different time during the sale process. Use the promotions at the right time during the sale process. In sales, there are two different types of graphs, a value graph, and a price graph. The value you have to offer has to outweigh the price in their minds. If you sound like a salesperson, the customer will not listen to what you have to say and will not see the value in the product. Show them your products and services so they can understand what you have to offer. Engage in conversation and build that relationship. Take them around their property. Take it really slow and brew them up. Take an hour an hour in a half to fully inform them of the value of the product and why it is best suited for them. Why it is an offer they cannot refuse! Be honest with the customer! The process is simple! Ask them if you can sit and show them the installation process really quick. Sitting at the table is where people do business. Not standing up waiting for the customer to say yes. Create curiosity! Do you mind if I show you something really neat? When you get to the table show them a picture to ease up the tension that’s in the air. Again John thanks for your questions and for weighing in and thanks to everyone who is following my blog. Until next time!